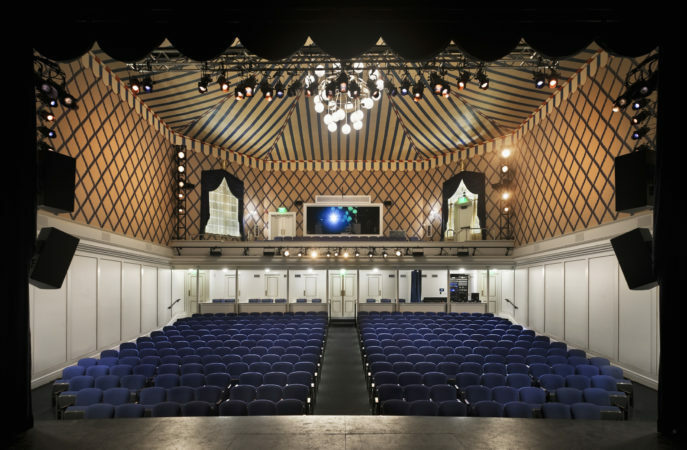 Guild Hall offers a state-of-the-art theater space in a convenient downtown East Hampton location, close to beaches and local restaurants. 360-seat auditorium with balcony, private sponsor boxes, and removable orchestra seating. View the theater seating plan. Box office and Technical Personnel are available for an additional fee. In addition to the theater, there are other spaces available to rent at Guild Hall that can accommodate receptions, parties, workshops, lectures, and meetings. For more information on those spaces and capacities please visit the link below.